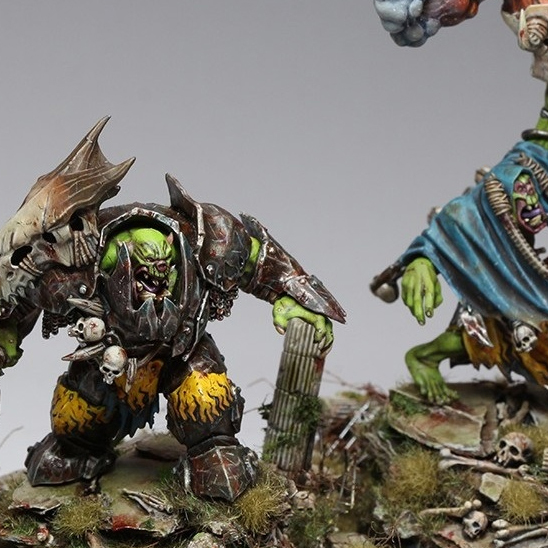 Man, orruks certainly seem to be the painter's choice of model. This week though we get a whole group of the awesome Ironjawz character models. There are no conversions I can tell on these models, but they honestly don't need any. I really love how gritty the paint job is on this. The metal looks properly used and beaten, and the use of a dark, almost black metal coupled with spots of yellow really makes these guys striking. All of the painting is crisp and smooth, and the weathering, while intense, is very controlled and used effectively. For me, one of the models that really stands out is the Warchanter. The glow from his sticks is super vibrant and contrasts really well with the very dark, and gory blood smears on the ends. The basing on this is superb as well. There's so much going on, but it never threatens to overwhelm the model. 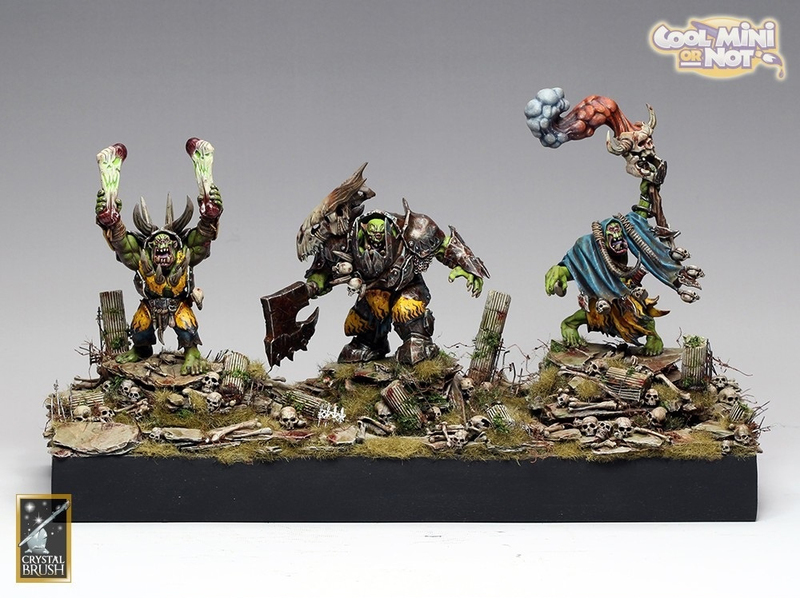 I personally like how many skulls are on the base. It is Warhammer after all and they are orruks. My favorite part of the base though are the overgrown and ruined pillars. It really helps reinforce the narrative of the orruks as being the destroyers of civilization. They are the exact opposite of what a civilized society should be, and by placing these extremely brutal and gritty looking orruks into the shell of a city they probably destroyed it just locks that feeling in more.